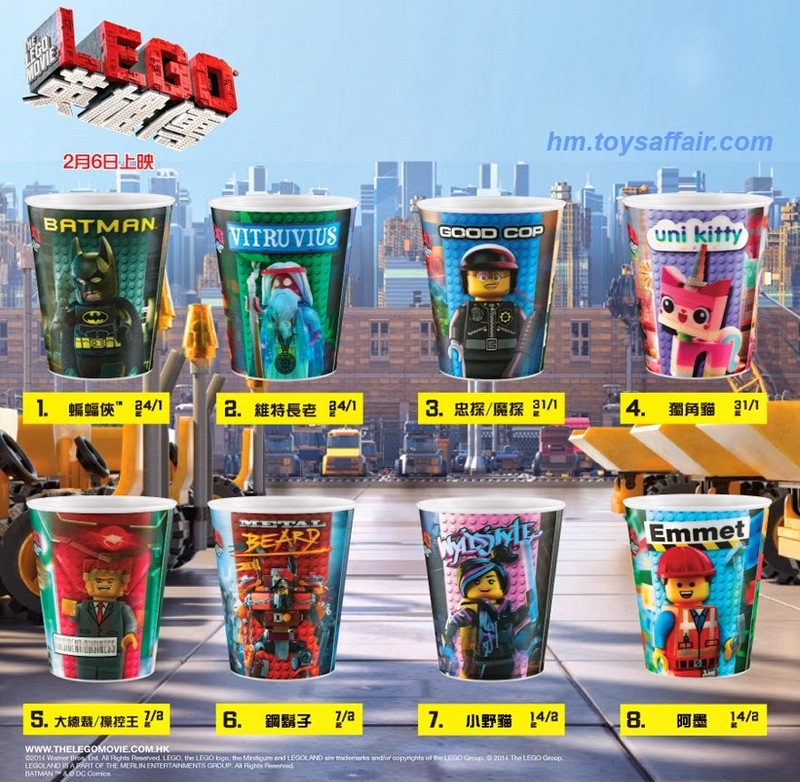 Happy Meal “The LEGO Movie® Action Cup” is available for collection at McDonald’s in USA, Hong Kong, Philippines, Singapore, France, Switzerland, Austria, Australia & Germany. 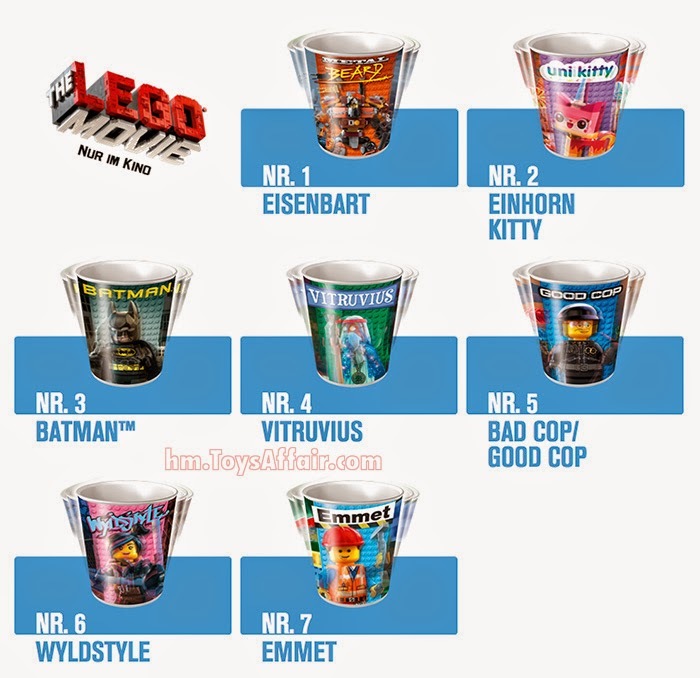 There are a total of 8 designs for The LEGO Movie Action Cup. 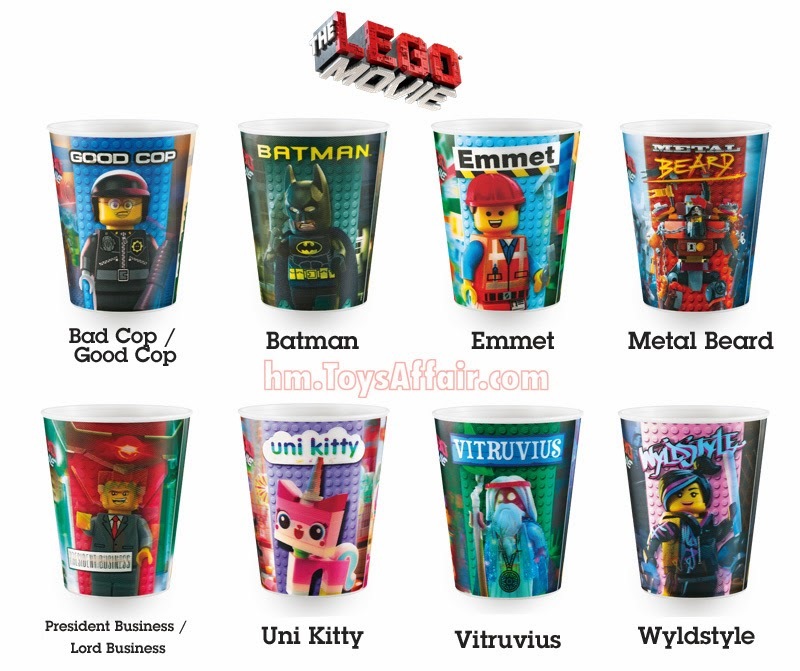 Wyldstyle, Metal Beard, President Business and Vitruvius. 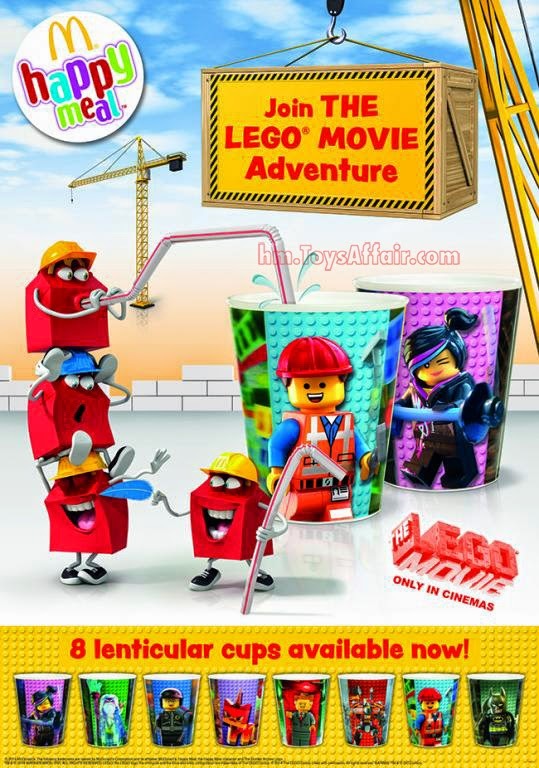 Every cup has McPlay Power! 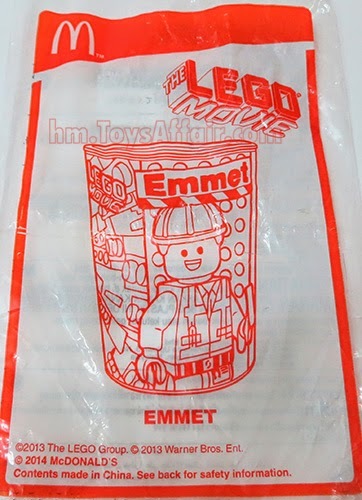 From the picture above, you can see Emmet’s different action in different angle. 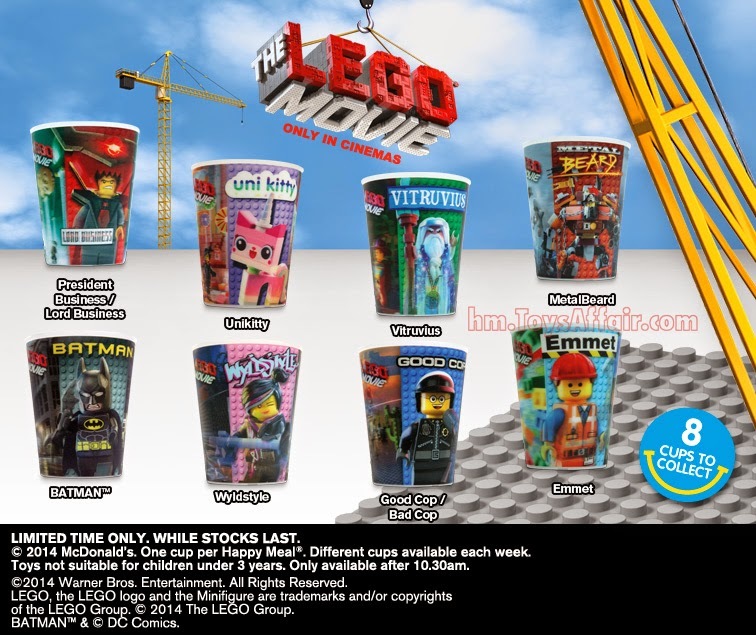 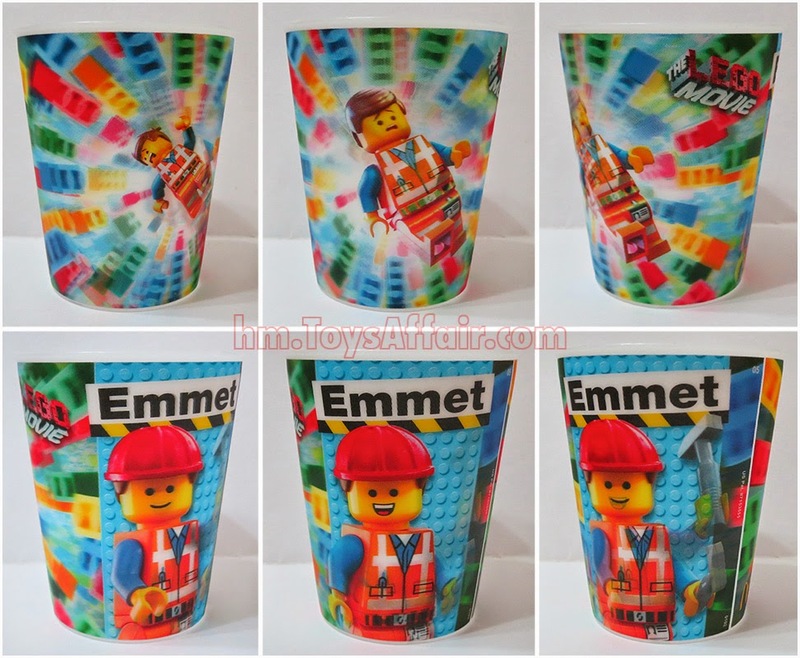 The packaging of LEGO Movie Action Cup! 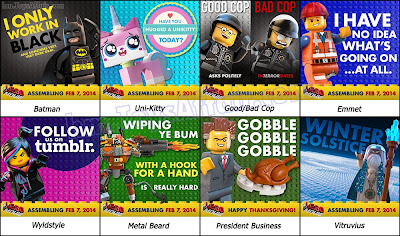 What next toys is ?????????????? 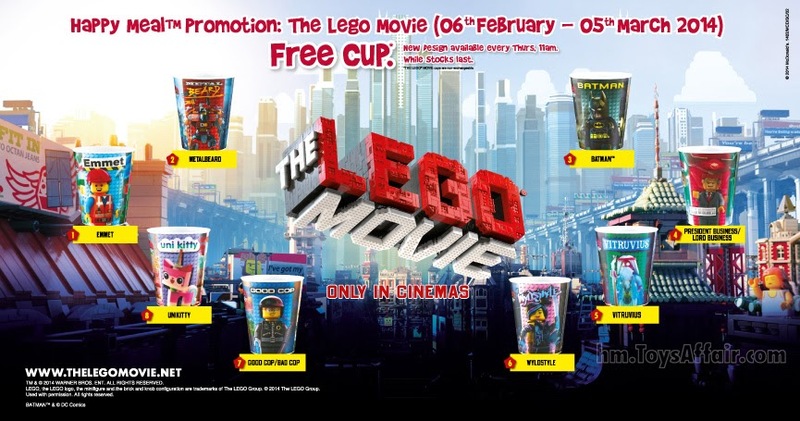 Mcdonlad's Happy Meal The LEGO Movie®: Action Cup on February 7!